Rosenthal Properties represented Sunday Morning Bakehouse on its lease. 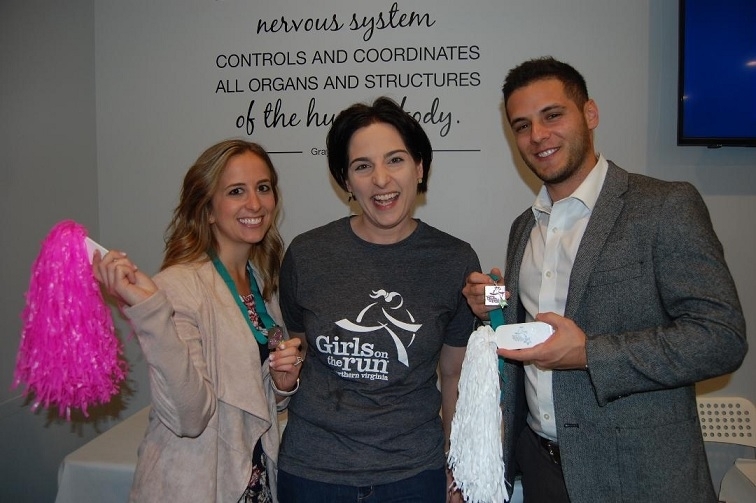 The ribbon-cutting ceremony held by Empower Chiropractic within the Fairfax Circle Shopping Center benefitted Girls on the Run of Northern Virginia (GOTR NOVA), with more than $500 raised by attendees of the event, which translates to four scholarships supporting local girls. The non-profit organization serves approximately 5,000 girls in elementary and middle school at more than 150 school-based sites across the local region. Empower Chiropractic is a new family chiropractic practice recently opened by the husband-wife team of Drs. Callan and Evan Lichtenauer. Rosenthal is one of Washington’s most reputable, fully integrated commercial real estate companies. Founded in 1999, our business focuses on the acquisition, development, ownership and operation of investment-grade retail, office and industrial properties in Washington, D.C., Virginia and Maryland.